Football makes people say some pretty gobsmacking things. Like National Football League commissioner Roger Goodell aiming to “take the head out of the game.” (Did the league give General Electric $40 million to work on detachable noggin technology?) Or USA Football executive Scott Hallenbeck insisting that “there is no question that the game can be played safely and is safe, as long as it is taught properly and the players execute it properly.” (Ahem. There are plenty of questions. Does Hallenbeck not have a television or an Internet connection?) Or former NFL concussion committee co-chair Ira Casson denying that there is any evidence linking multiple head injuries among pro football players with long-term cognitive damage. Martin feels for the families [whose children suffer concussions]. He recognizes the blurry nature of concussions causes tension in itself. But he also worries their risks are overstated. Now 47, Martin played college football and then won several national semi-pro championships with a team in Racine, Wis. He sometimes wonders if he should have quit playing earlier because of health issues he faces today. But it’s not the “three or four” concussions he suffered that concern him. It’s his knees. He’s had 18 knee surgeries to date, and he struggles to stand up from a sitting position. Martin doesn’t see why people should react differently to the two types of injuries. “If you play the sport, you have a chance of blowing out your knee,” he says. “Does that mean that no one should play this sport? Of course not, but you do have to consider whether you want to go back to the game. You might do some long-term damage. Martin even has a mystique-killing analogy for the repeated subconcussive hits that are thought to cause long-term brain damage. This blew my mind. I had to read it twice. And then a half-dozen more times. It still blows my mind as I’m typing this. Here’s why people react differently to brain and knee injuries, and why football is in a world of potential trouble: because the potential harm resulting from a brain injury is nothing like that resulting from a knee injury. Hurt your knee? Best-case scenario is medical repair, followed by complete return to previous function. Think Adrian Peterson. Worst-case scenarios are not being able to play football again; not being able to run; not being able to walk; chronic pain; degenerative issues; significant decrease or loss of function; life with a cane or in a wheelchair. Now, none of those are desirable outcomes. Frankly, they all stink. But they don’t change how you think. They don’t change who you are. Brain injuries are different. They can change both. They can change both for a few days. A few weeks. A few months. The rest of your life. The worst-case scenarios are heartbreakingly, unspeakably, infinitely worse. Ask Mary Ann Easterling. Ask Junior Seau’s friends and family. Ask George Visger, or Gil and Michelle Trenum. Like eventually wearing out a joint? Dealing with dementia in your 80s is different than dealing with it in your 50s; dying in your teens is different than dying as a grandfather. Thing is, Martin knows better. As a trained neuropsychologist whose self-professed research interests include dementia and traumatic brain injury, it’s his job to know better. In fact, the Missourian reports that Martin helped write a state law that more strictly regulates how soon high school athletes suspected of suffering concussions can return to play. In the above speech, Martin makes a valid point: when their concussions are properly diagnosed and treated, most people make full recoveries. 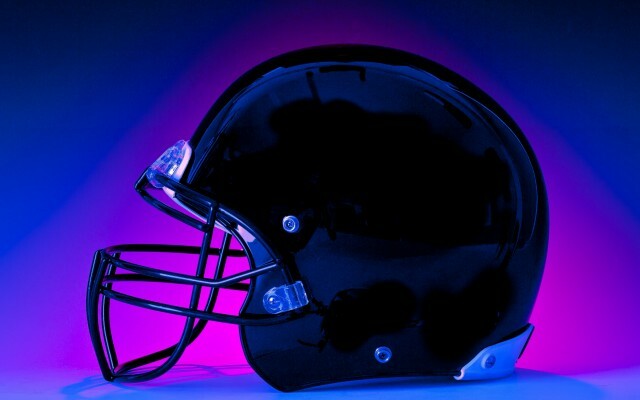 Putting aside open questions about what proper concussion diagnosis and treatment actually entails, that’s important to note, and something to consider when deciding whether playing football is worth the physical and cognitive risks inherent to the sport. Also important? Acknowledging that physical and cognitive risks are not the same. A knee injury is not a brain injury. Suggesting even a crude equivalence is preposterous. Why would anyone do so? I really have no idea. I just know it’s wrong. Or, to put it another way: one kind of injury can make it hard for a 47-year-old neuropsychologist to stand up from a sitting position; the other can make it impossible to become a 47-year-old neuropsychologist in the first place. Which one do you find more alarming?